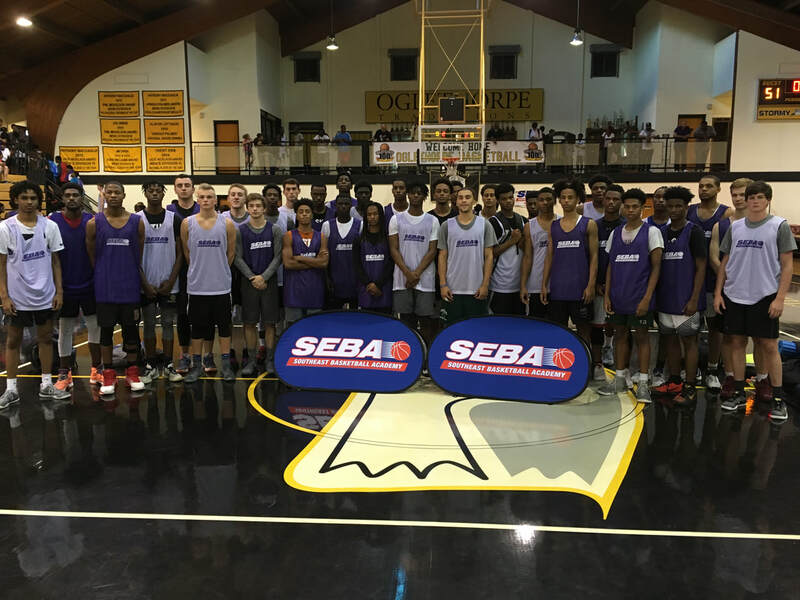 "Recognized as one of the Nation's Top Fall Exposure Camps"
The 2017 SEBA Atlanta All-Star Shootout was held September 16th on the campus of Oglethorpe University in Atlanta. This 15th Anniversary Fall event featured a full capacity roster of 200 prospects from all areas of Georgia, as well as from the states of Florida, Tennessee, South Carolina, Alabama, and Texas. 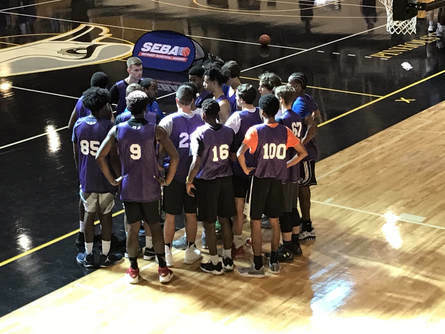 The Shootout brought excellent exposure to all of the participants, as over forty (40) college coaches representing twenty-eight (28) programs from throughout the South were in attendance to evaluate and recruit the talent on hand. 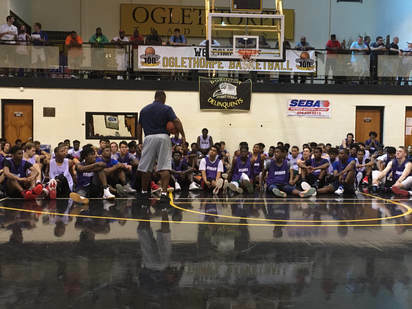 The Camp consisted of a complete day of competition, development, inspiration, and exposure. During the morning session, the players participated in fundamental skills stations conducted by a fantastic group of accomplished high school, travel ball, and skill development coaches. Following the morning stations, Courtney Brooks gave a super inspirational talk encouraging the players to strive for success not only on the court, but more importantly in the game of life. Fresh off the inspiration, the players moved into 5-on-5 play, where they competed in three (3) full-court games with their respective camp team throughout the afternoon and early evening. The event concluded with a highly competitive "Top 30" All-Star Game which was well played and a complimentary conclusion to a highly successful event. Talented guard out of Augusta had an excellent showing. Excelled as both a scorer and as playmaker for his teammates. Very good while attacking rim. Uses his strength and physicality to finish strongly. Showed good on-court leadership in directing and motivating teammates. Very active player on both ends of court. Has recovered nicely from the knee injury suffered in Spring. Demonstrated athleticism with two impressive back-to-back dunks in traffic during All-Star Game. Was named 2nd Team All-State as a Junior and the Augusta Area Player of Year while averaging 20 ppg, 13 boards, and 4 assists. High rising wing prospect who shined throughout the camp. Jonathan owned some of the camp’s top plays with several highlight reel dunks and finishes. He demonstrated good dribble moves and a quick first step which allowed him to attack rim consistently for scores. Thrives on the fast break and finishes way above rim. Show the ability to create and knock down jump shot off the dribble. Intriguing prospect for Low Major D1 programs. High upside guard with excellent combination of size, length, and athleticism. Adrian made good impression with his coachability and willingness to work hard in morning skill stations. That carried over into the 5-on-5 play, where he slashed his way to the rim for buckets and fast break finishes. Also made his presence known with aggressive on-ball defense and rebounding. Has all the tools to be a standout at the next level. One of the camp’s top overall guards and scorers, Josh put up lots of points and made it look easy while doing so. He has an excellent mid-range game and an extremely effective floater over taller defenders. He shot the lights out from three point land uses good balance and body control to finish drives to rim. Has quick hands and gets a lot of deflections on defense. Averaged 18 ppg as a Junior last season while being named All-Region. Should be one of Cobb County’s Top Players this coming year. Highly athletic and explosive wing who impacts game in many ways. Has tremendous leaping ability; lit up the gym with a spectacular dunk over defender on fast break. Plays with great energy and drive. Whether it was converting offensive putbacks, coming helpside to block shots, or diving to keep ball in play, Jackson was all over the court making good things happen. He has a reliable midrange jumper and has improved range out to three point range. Was named All-Region as a Junior. Gwinnett County standout scored the ball well throughout the day. He has a sweet stroke from beyond the arc and a nice mid-range game. Took defenders off the dribble when they overplayed his shot and finished well in paint. Active defender on and off the ball. Averaged over 18 ppg while garnering All-State honors as a Junior. 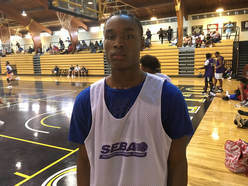 Look for him to be a major piece for a strong Dacula team and one of Georgia’s top guards this coming season. Emerging big man who impressed with his performance. Finished well around the rim and demonstrated some nice low post moves on the block. Crashes offensive boards hard and keeps possession alive for his team. Defensively, he was a strong presence protecting the lane and contesting shots. 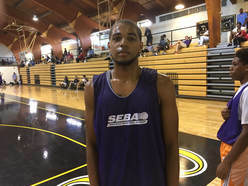 As he continues to develop under the tutelage of Cabral Huff and the Duluth coaching staff, don’t be surprised to see Corey turn into a real force this coming season. Wing - Forward player with strong frame and above average athleticism, Plays with a big motor. Tough matchup for opponents. Scores in midrange zone with effective pull-up jumper and is also tough in the paint. He runs the floor well and gets out in transition. Crashes boards hard; Has good court vision and dished out several nice assists to teammates for easy scores. One of top players in the Columbus Area. Very impressive lead guard with good size and skill set; A native of Lithuania, he plays with a competitive edge and excellent court presence. Handles the ball well and gets into the paint off penetration. Understands the game. Did a very good job of breaking down defense off the dribble and creating scoring opportunities for himself and teammates. Talent and skill set will translate well to College level. Very strong and physical player with 230 lbs. frame; Kyler overpowered opponents, scoring at will whenever he had the ball inside the ball or on the block. Has long arms and broad shoulders that allow him to play much bigger than his height. On the defensive end, he is a top notch shot blocker. Got his hand on or altered numerous shots each of his camp games. Good rebounder on both ends of floor. Had a strong Summer and will be a high impact player for a nice Cambridge squad ready to make noise this season. Lightning Quick Point Guard with good playmaking ability. Good penetrator and sees floor well. One of the top defensive players in camp; locked down opponents with strong on-ball defense and active in passing lanes. Has nice pull-up mid-range game and finishes well at the bucket. Strong on court leader. Plays with hunger. Long athletic Forward with excellent upside & potential. Good shot blocker, rebounder, and runs floor well. Has nice midrange/face up jumper. Outstanding academic student with 29 ACT and 4.0 GPA. Young for rising Senior (only 16 years old); best ball is definitely ahead of him. Must see prospect for high academic schools. Impressive guard with good all-around skill set and understanding of the game. Showed the ability to score, create, and defend. Sees the floor well and sets up teammates for open looks. Aggressive defender with good strength; rebounds well from guard spot. Knocked down the three ball consistently. Has good test scores and is a player that higher academic schools should target. 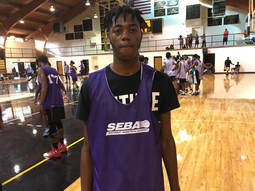 If you are looking for a breakout guy in Dekalb County this coming season, Chalin might very well be your guy. The long and athletic wing showed good versatility and ability to defend multiple positions. He was very active on the boards and effective in transition. Was comfortable knocking down the mid-range jumper or putting ball on floor and attacking basket. Plays with good energy. Standout performer who lit up the scoreboard with his scoring ability. Tahkwon gave opponents fits with his quickness and ability to attack gaps in the defense. He finished on a variety of acrobatic drives; uses his body really well around the rim. When defenders backed off to prevent penetration, he demonstrated a very capable midrange and three-point shot. 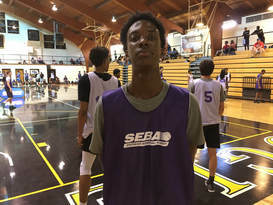 All-Region as a Junior; Definite prospect for Coaches to keep tabs on in East Georgia. Forward with long wingspan and good upside potential; was a strong presence in the paint throughout the day. While offensive game is still somewhat raw, he scored on a variety of low post moves, tip-ins, and short face up jumpers. Was one of the camp’s top interior defenders, where he blocked shots and provided good rim protection. Was All-Region selection as a Junior; is really going to thrive as he continues to develop more confidence. Skilled and very fundamentally sound prospect who does a lot of things well. Has a high basketball IQ. He was one of the top three-point shooters in camp. Does a good job finding seams in defense and knocking down long treys. Rebounds well from the guard spot. He is a Top Tier student in the classroom with a 31 ACT score. Attractive target for elite academic institutions. 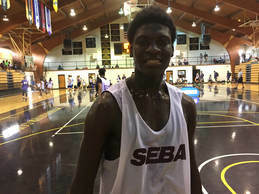 Having suffered knee injury and subsequent surgery over the past year; The SEBA Shootout was Nicholas first high level opportunity to compete since receiving full medical clearance. He certainly made the most of the opportunity, as he shined with his play. He has excellent length and spring and plays with good versatility. He showed no effects of the injury while slashing and soaring to the rim for scores. Has the ability to guard multiple positions. Runs floor well. Good upside and has the hunger. Could be one of State’s top 2018 Sleepers. 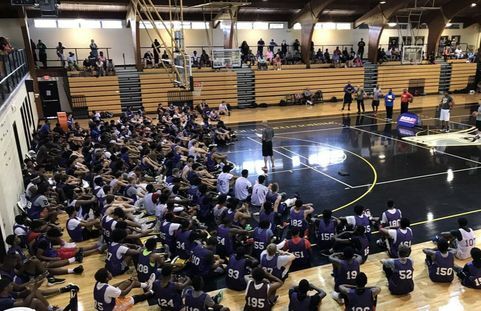 The Camp roster boosted a deep pool of talented 2018 perimeter players who will play at the next level. In addition to the players listed above, here are some others who also made their mark. Jordan Sterling (6’ 2, CG, Arabia Mountain) is a good looking scoring guard with skill and athleticism. He showed the ability to create shot off the bounce and an excellent pull-up jumper. Defends the ball well and is a good student in the classroom. 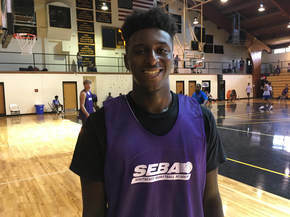 The Dekalb County standout is an impressive prospect for coaches to take a close look at. 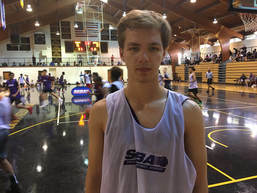 Nathan Gauthreaux (6’ 3, SG, Johns Creek) creates his shot well off the dribble getting good separation from defenders. He is a team orientated player, always looking to get others involved. On the defensive end, he has good length and is very active, picking up a fair share of steals. Nathan is an extremely high academic student with a 32 ACT and is a must see for Elite Academic Programs to evaluate. Tre’ Mays (6’ 0, CG, Jenkins) is a compact scoring guard with good quickness. He shot the ball consistently well from beyond the arc. When driving to the rim, he uses his upper body strength to finish strong for scores. He was named 1st Team All-Region and All-Savannah Area a year ago. Zach Gay (6’ 2, SG, Franklin County) is a hard-nosed and skilled guard who impressed with his all-around contributions. Named All-Region as a Junior, he was in “hustle” mode throughout the day, knocking down shots, dishing assists, and doing many of the little things that don’t show up in stat book. Higher academic schools need to give him a close look with his 3.6 GPA and 24 ACT. D’won Smith (5’ 8, PG, Clarke Central) is big scorer in a small package. Named All-Region last season as a Junior, D’won showed the ability to really shoot the ball from three point land and light up the scoreboard. Will Richter (6’ 4, CG, Johnson) is an nice guard prospect with good size. He does a great job creating scoring opportunities off the dribble and plays with good energy. Will also played aggressive defense on ball and picked up several steals and deflections. Iram Spann (6’ 3, SG, Druid Hills) is a knock down shooter with dual ability to score at the rim. Sees floor well and dished out several nice assists to teammates. Gage Henry (5’ 8, PG, Dade County) is a fun player to watch. He has excellent court vision and is a fine distributor. Plays scrappy and hard-nosed defense and isn’t afraid to get on the floor for loose balls. Has solid outside stroke. Recorded four “triple doubles” last year while being named 1st Team All-Region. Stone Champion (6’ 4, SG, Creekside Christian Academy) attracted the interest of several College Coaches in attendance. Coming off Junior season where he averaged 24 ppg, Stone was automatic from three point land when spotting up. He uses size well when driving lane and moves well without ball. Dustin Ladson (6’ 3, CG, Hillgrove) is an athletic guard prospect with good frame. He attacks the rim well and thrives in the open court. Has good lift and is aggressive defender. Could be a one of Cobb County’s biggest sleepers this coming season. Ashton Burley (6’ 1, PG, Cass) was one of the top pure point guards in camp. An excellent distributor, Ashton does a great job running his team, drawing defenders in and hitting open teammates for open looks. He is a four year Varsity standout and was named 1st Team All-Region last season. Troy “TJ” Cagle (6’ 0, CG, Mt. Zion – Carroll) is a knockdown three point shooter with a quick release and deep range. He uses change of pace moves very well and can create off the dribble. Courtney Brooks delivered an inspiration filled talk to the Camp. 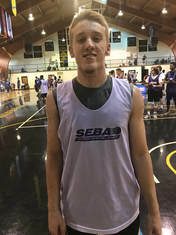 Zach Ledbetter (5’ 11, CG, Bowdon) caught positive attention from evaluators with his playmaking abilities. He has a tight handle, nice three point stroke, and laser court vision. Look for him to build upon successful Junior campaign where he averaged 14 ppg. Darius Johnson (5’ 7, PG, Hiram) is a energetic and physically strong lead guard with good quickness. He can knock down the trey and attack gaps on drives to the rim. Tough full-court defender on ball; standout student with 3.8 GPA and 25 ACT. Gray Purkey (6’ 2, SG, MLK Magnet, TN) is a lights out shooter who had a good showing. The Nashville prospect has a smooth stroke, is smart on the court, and stretches the defense. A high academic prospect (25 ACT), he also defends with good energy. Reggie Horton (5’ 10, PG, Dacula) is an athletic guard who likes to attack the rim and uses his body well to score. 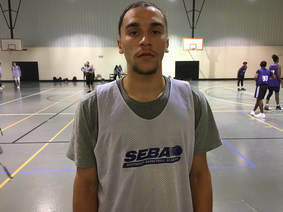 He is one of several impressive prospects in a loaded collection of talented guards for Coach Russ Triaga’s Dacula squad. A.J. Hassell (5’ 11, PG, Woodville Tompkins) had a good showing throughout the day. The quick floor general from Savannah created well off the bounce and led the fastbreak with precision. 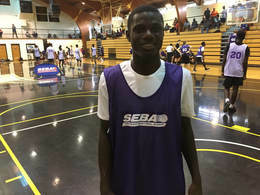 Coaches looking for a knockdown shooter need to evaluate Abba Wague (6’ 2, SG, Rabun Gap). The skilled marksman can really shoot the three ball. Whether spotting up or off the dribble, he is a player with deep range. He should pass 1,000 career point mark early in Senior season. Devin Sheats (6’ 3, CG, Monroe Area) is a strong and physical guard with a well-balanced floor game. He uses his body well when driving to hoop and is a solid three point threat. He rebounds really well for a guard and is a good positional defender. First rate student in classroom with 4.2 GPA and 1190 SAT. 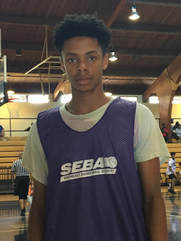 Gabe Armstead (6’ 3, SG, Kennesaw Mountain) is another attractive prospect out of the Kennesaw Mountain program. Gabe is a multi-faceted perimeter threat with good athleticism. He is a good slasher, creates his shot well, and is dangerous on the fast break. Raphael Rogers (6’ 2, SG, Hiram) is a wing guard who earned good reviews with his athletic and energetic play. He is a good finisher and uses leaping ability to make plays at the rim. Also demonstrated a good outside stroke. 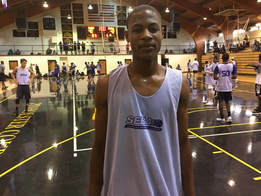 showed Markeevius Byrd (6’ 1, PG, Metter) is a nice guard prospect. He has good slashing ability, a dead-eye pull up, and strong offensive skill set. He was named 1st Team All-Region as a Junior and scored a 1130 on the SAT. Micah McCuen (6’ 3, SG, Sprayberry) is quickly making a name for himself with his eye opening play. 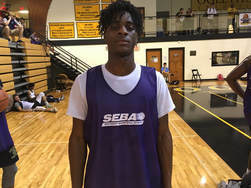 After missing his Junior season due to eligibility issues, the Cobb County product had a good showing during the July Live period and has carried the momentum into the Fall. He is a strong and physical guard who can score the basketball at all three levels. He has a knack for hitting big shots in key situations. An aggressive defender, Micah is very active in picking up steals and forcing turnovers. Kendall Latney (6’ 2, PG, Mill Creek; 2020) is a young athletic guard with a very bright future. The 2020 standout put his talent on display, knocking down treys, leading the break, and converting tough acrobatic drives. He has excellent speed and leaping ability. With continued progression, Kendall has a chance to be an elite Georgia prospect in his class. Talique Williams (5’ 9, PG, Harris County; 2020) is an impressive young lead guard with ability to break down defense with excellent quickness and driving ability. He does a good job drawing defenders and kicking to open teammates, while also creating scoring opportunities for himself. Was named Georgia “Freshman of Year” last season in Class AAAAA while carrying a 4.1 GPA in classroom. Isaiah Glasper (6’ 3, SG, Monroe Area) is an intriguing guard prospect with good length. He has a solid perimeter skill set, athleticism, and defends the ball well. Also a football standout, he earned respect by suiting up for a late Friday night game on the gridiron and then putting in a full day of hard work during camp on Saturday. Deante Green (5’ 8, PG, Woodville Tompkins; 2019) is a sparkplug guard out of Savannah to watch. He showed ability to consistently finish at the basket and create jumper off the dribble. He played excellent defense and had multiple steals which led to buckets. Carter Oesterling (6’ 2, CG, Westminster, 2019) is a strong point guard who can lead an offense. He was consistent on his shot and finished well when driving into the paint. 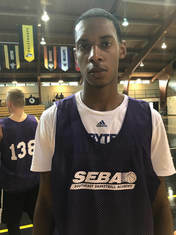 Duluth High School has a deep and talented collection of Senior talent on their roster; however, Junior Jordan Blue (6’ 2, G, Duluth, 2019) is also ready to make his mark for the Wildcats. 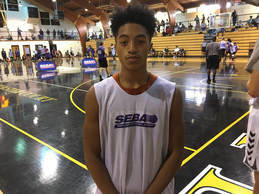 The rising prospect is certainly one to keep an eye on as he impressed with his ability to penetrate and score at the rim as well as to finish in transition. Kalik Brooks (6’ 3, CG, Alpharetta; 2019) is a multi-threat combo guard that is hard to defend. He was effective off penetration and when knocking down jumpers. He creates well for teammates and plays with poise. At the Wing position, Derrick Harden (6’8, Mt. Zion; 2019) is a prospect with huge upside. He handles the ball well and has great length. Is comfortable initiating the fast break and creating for others. Is at his best when attacking the rim. While far form a finished product, the potential is there for him to be Major Division I prospect. Jamal “JP” McGhee (6’ 4, Wing, Milton; 2018) is an athletic forward that caught the attention of multiple coaches and scouts with his intensity. He has a big motor, good leaping ability, and is an aggressive defender and rebounder. He is the type of player whose on-court efforts sets the tone for his teammates. Dade County had several players in attendance who impressed and Jonathan Wood (6’ 4, Dade County; 2018) was certainly one of them. He has good strength, inside-out scoring ability and crashes boards for rebounds. He exhibited good range on his shot and plays smart. Vance Anderson (6’ 3, Paulding County; 2018) is a strong bodied wing with a nice outside stroke. Knocked down the three ball consistently. Has ability to effectively defend multiple positions and is a good rebounder from guard spot. 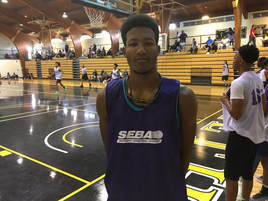 Tay Howard (6’ 4, CG, East Jackson) is a rising guard prospect with nice potential. On defense, His length allows him to get a lot of deflections and help create turnovers. On the offensive side, he plays with good control; knocking down jumpers and creating off the drive. Chandler Davenport (6’ 4, Wing, Jeff Davis; 2018) is a player who makes good contribution in numerous areas. He is a solid three point shooter, passes the ball well for a wing, and brings a lot of intangibles that help his team win. That along with his strong academic resume makes him a player worthy of looks. 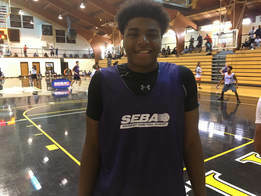 Preston Crisp (6’ 4, Wing, Woodville Tompkins; 2019) was yet another prospect from Savannah’s Woodville Tompkins High School who had an impressive showing. He has good length and uses his body well to create pull up jumpers. He runs the lane well on the fast break and scored consistently in transition. On defense, his length was an asset and caused problems for smaller guards. Firat Ceylan (6’ 7, Rabun Gap; 2019) is a powerful force in the low post. A native of Turkey, Firat uses superior strength to power thru contact for buckets. He seems to welcome chance to bang inside. Has solid footwork and good hands. One of the top rebounders in camp. An overall nice prospect for coaches to keep close tabs on. Thomas O’Neil (6’ 10, Richmond Hill; 2018) is an intimidating physical presence at 6’ 10 and 250 lbs. At this point in his development, he is farther advanced as a defensive player. He did a good job providing rim protection, contesting/blocking shots, and pulling rebounds. On offensive end, had several solid finishes in the paint and showed good work ethic during skill stations. As he continues to develop, Thomas will make a nice addition for a school at next level. Nicholas Wilson (6’ 6, McKeel Academy, FL; 2018) is a long forward with a versatile skill set. He scored in the paint on variety of crafty post moves as well as beyond the arc, knocking down several three pointers. He has good instincts on defense, where he deflected and blocked a good share of shot attempts. His 3.6 GPA and 1140 SAT make him an intriguing prospect for higher academic schools. Julian Baldwin (6’ 7, Etowah; 2018) is a forward with much upside. He is an impact guy in the paint; but also has the ability to step out on the perimeter and knock down shots. Played with good energy and was active on the boards. Will be key contributor for talented Etowah team. Quamontae Monfort (6’ 6, Clarke Central; 2018) is a solid inside presence and frontcourt prospect. Crashes the boards hard and is active defensively. Is a capable outside shooter. Has potential to average a double-double this coming season in Athens. Dylan Bohling (6’ 7, Forward, 2018) is a hard working prospect who has improved dramatically over the past year. While far from a finished product, he is a long and active player who is getting better weekly. Carrying an A+ average in the classroom, he is a prospect whose best ball is ahead of him. Corey Thomas (6’ 6, Forward, Marietta; 2018) is a sleeper prospect out of Cobb County who caught some attention from coaches. He has good bounce, is a capable finisher above the rim, and is active on the boards. Elijah Goodman (6’ 8, Monroe Area; 2018) is a long forward who shows flashes of play that match his high potential. He was a solid contributor on both ends of the floor and is comfortable playing on the perimeter. He has a good knack for offensive put backs and has defensive versatility. Combined with teammates Devin Sheats and Isaiah Glasper (mentioned above), Monroe Area is a team to watch in Class AAA. Tymon Szymanski (6’ 7, Forward, Rabun Gap; 2021) was one of the youngest players in the event; however that did not stop him from making a very favorable impression on many of the coaches in attendance. Just a freshman, he has great size and feel for the game. He is comfortable on the block and out on the perimeter, where he exhibited a good looking shot. 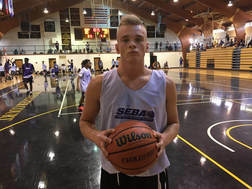 With continued development, Tymon has a great chance to be a heavily sought after prospect at the Division I level. ​Special Note: We want to extend sincere thanks to all of the High School and Travel Ball coaches throughout Georgia and the entire Southeast who supported this event. Additionally, we want to send a special thanks to Courtney Brooks (Whitefield Academy), Cabral Huff (Duluth), Virgil Amey (East Jackson), Antoine Stroud (Duluth), Jason Smithson (Smithson Basketball), James Davis (ASA/Ball For Life Foundation), Aloysius Henry (Methodist University), Brian Fisher (3Strong), Tony Ellison (Tapestry Charter), Bill Blythe (Pope); Darin Cooper (Harrison), Travis Moore and Shawn Courtney for their time and efforts in working with the players; Trent Markwith (Sandy's Spiel), Jarrett Christian (Pro Movement) and Dante Medlock for their coverage, the Georgia Basketball Coaches Association (GABCA), and last but not least Head Coach Phil Ponder, Assistant Coach Zach Altany, and the entire Oglethorpe University Basketball program for their ongoing support.